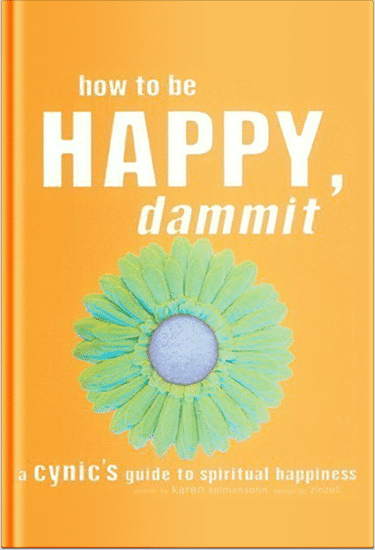 Guaranteed to perk up even the most cynical spirit, How to Be Happy, Dammit is the first and only self help book to merge Psychology, Biology, Eastern Philosophy, Western Philosophy, Quantum Physics, and the Zen of Bazooka Joe. Think love and happiness have passed you by? This book is different, promises Salmansohn. 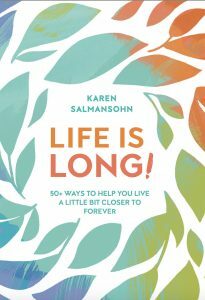 Peek within its colorfully graphic pages (co-designed by Karen Salmansohn and award wining designer Zinzell) and you’ll find 44 impactful life lessons that are guaranteed to save you years of time, effort, and humiliation. Karen, thank you so much for your lively, inspiring words!!! I was divorced a year ago...and have been trying to claw my way out after 14 years of being married alive. I was delighted to find How to Be Happy, Dammit! As a single mom working two jobs, I don't get to read nearly as much as I would like, but it is perfect for smuggling to work in my purse, to sneak an encouraging life lesson in the midst of chaos. I am wildly jealous of new yorkers every time I see the calendar of activities...I hope to attend one of your events someday, if I ever escape from the wretched midwest (where I am surrounded by hicks, many of whom have mullets). Anyway, thank you again! Want to be happy? Want to enjoy life? Maybe you have to create your own rules: live your life the way you want to live it, dammit. 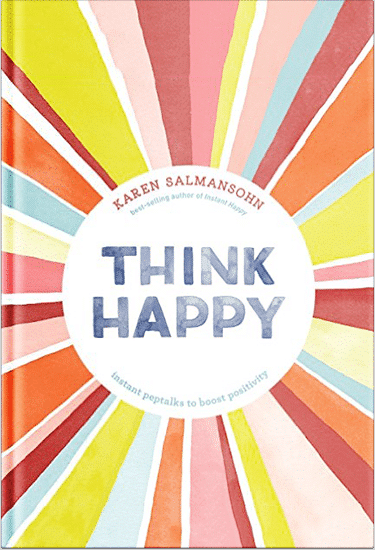 A new book, How To Be Happy, Dammit taps in on that yen we all have to get out of the ruts in our lives and do something that's different. Dear Karen, I just wanted to let you know how much I enjoyed your book, "how to be happy, dammit." After I lost my mom the year before last, I was devastated! I was so depressed one night and looking for something to bring me insight and I picked up this little paperback...and could not put it down. I finally cried like I should have for my mom and myself. I have told so many people about this book Every single page spoke to me regarding every single part of my life! How did you do that??? What do you get when you cross Bridget Jones with Deepak Chopra? How to Be Happy, Dammit. I just wanted to thank you for your amazing messages. My boyfriend is currently in a recovery treatment program for alcohol and drugs and your life lessons from "How to be Happy, Dammit" have kept us learning and smiling (at the same time) throughout this difficult time. You have a wonderful way of making these messages relatable to everyone. How To Be Happy, Dammit listed in Glamour's "7 Breakthrough New Ways to Beat Stress." How to Be Happy, Dammit mae me laugh and smile. The photographers are witty and the readings – dare I say – made me feel happier.